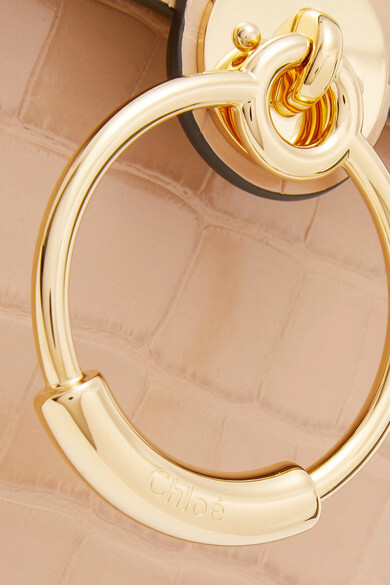 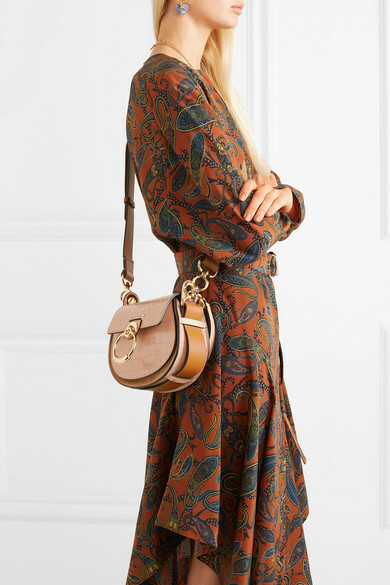 Chloé's 'Tess' bag was first introduced in Fall '18, and has since become a street-style favorite. 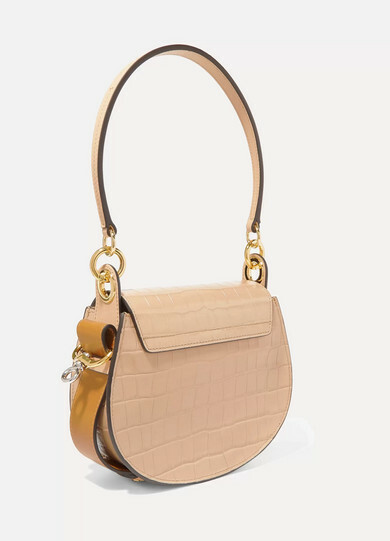 Updated in glossy croc-effect leather with a suede panel, this version has a rounded, saddle-bag silhouette decorated with gilded ring hardware. 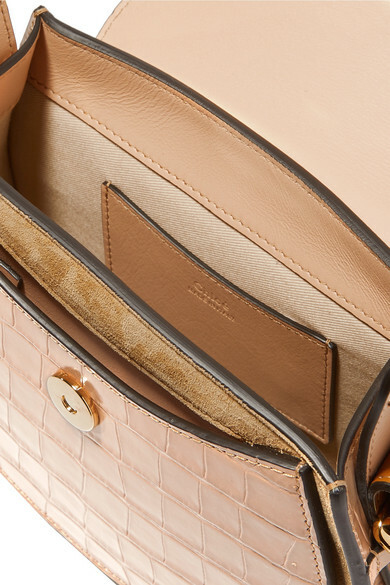 Match the warm beige hue with tonal tailoring and adjust the strap to carry it in-hand or wear it cross-body. 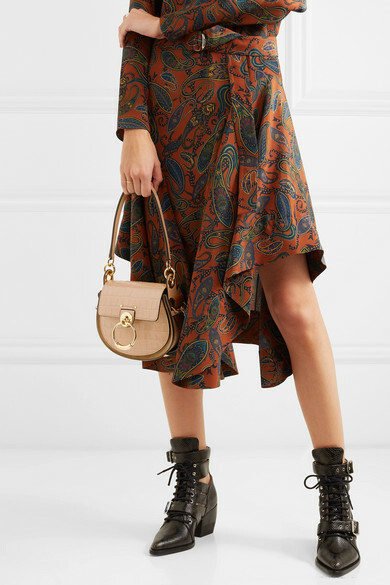 Shown here with: Chloé Dress, Chloé Ankle boots, Chloé Necklace, Paola Vilas Earrings, Alighieri Necklace, Alighieri Necklace, Jennifer Fisher Ring, Grace Lee Ring.